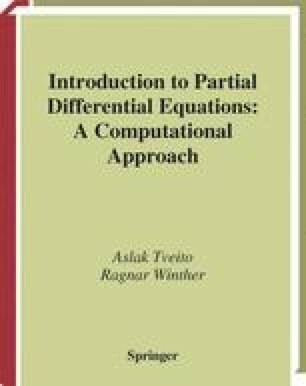 In the previous chapter we derived a very powerful analytical method for solving partial differential equations. By using straightforward techniques, we were able find an explicit formula for the solution of many partial differential equations of parabolic type. By studying these analytical solutions, we can learn a lot about the qualitative behavior of such models. This qualitative insight will also be useful in understanding more complicated equations.